We can construct anything, any size according to your needs and the size of the venue. From giant Las Vegas signs to giant company logo’s, we’ve got the wow factor to bring your fun casino event to life. If we havent got it, just let us know what you want and we will make it for you. We will ensure that everything is delivered on time and set up ready for when your guests arrive, leaving you to relax and enjoy the event. Ask us about our package prices including our extremely popular 007 James Bond package, Hollywood theme nights and Las Vegas packages. Themed casino nights are ideal for all occasions be it corporate events, weddings, private functions or charity fund raising events. Depending on your requirements, we can bring to you the glitz and glamour of Las Vegas, Hollywood, or whatever theme you decide. We hire unique and individual props that will add a spectacular aspect to an event. 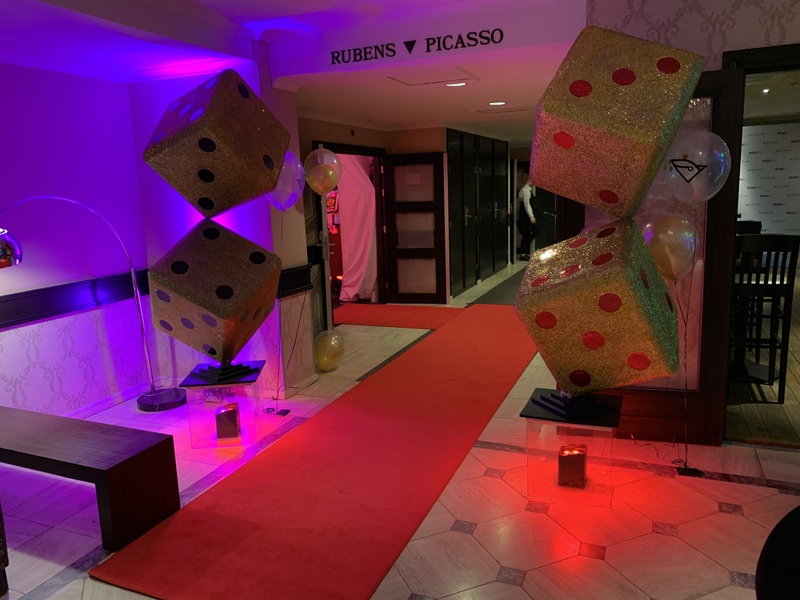 For guests to be greeted by giant golden dice or 007 themed props certainly adds a wow factor when guests enter the venue. Our speciality is casino themed props. 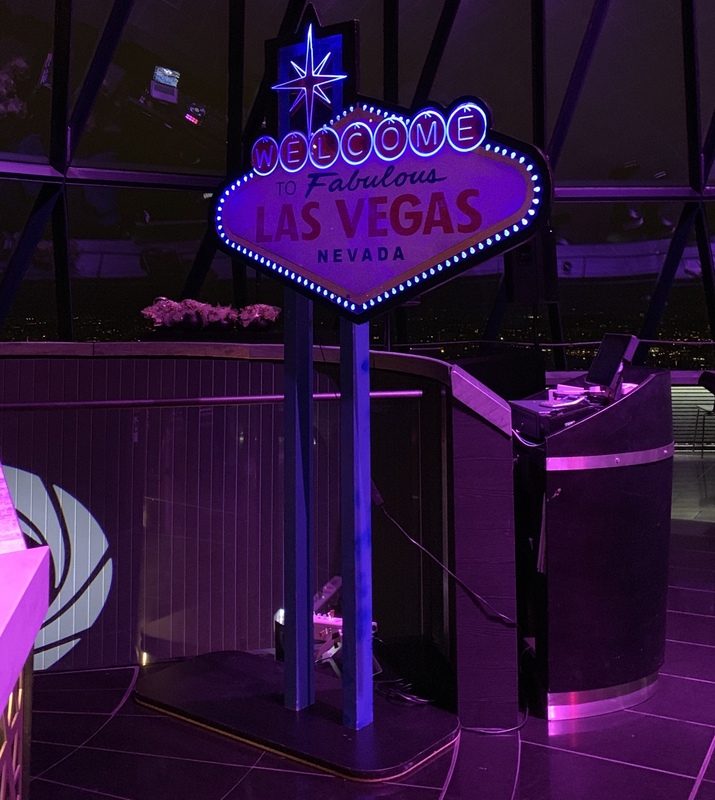 We can furnish your event with our popular James Bond themed props or Las Vegas themed props. Many of our props are generic to a glitzy or glamourous theme and we can recommend what may be suitable for your event space. We will ensure that everything is delivered on time and set up ready for when your guests arrive, leaving you to relax and enjoy the event. Lighting can affect the whole look of a room. We offer uplighting options which can be placed around an event space to create an ambience to suit, there is a whole rainbow of colours to choose from but we are always happy to recommend a good colour match to your theme and style. • Giant gold glittered dice. These can be set at different levels up to 3m tall. • Illuminated Bond silhouette panels. These are great for any venue as they have a small footprint so use the minimum of space yet the height makes an imposing and eye-catching focal point. We have a variety of styles to create maximum impact and the illumination can be of a colour shade to compliment the room. • Giant gold glittered gun. 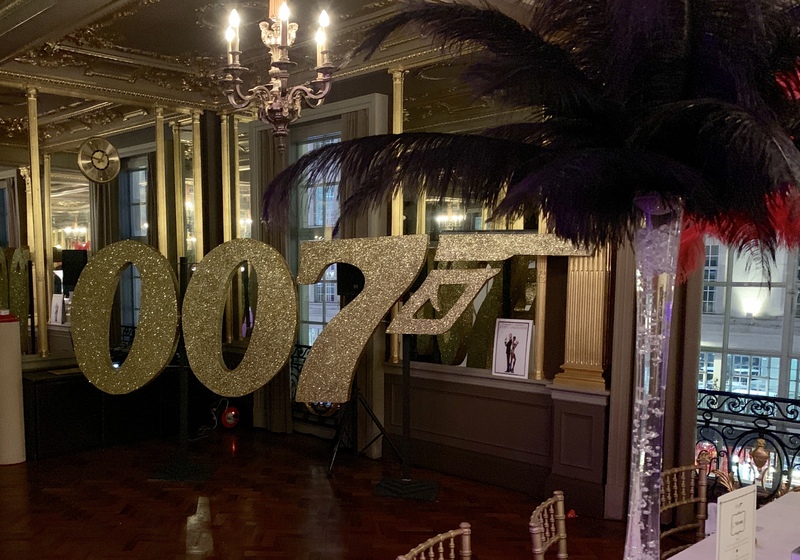 Standing at nearly 3 metres high and 3 metres long this is an incredible centrepiece to a 007 themed event. • 007 Golden Glittered Logo. 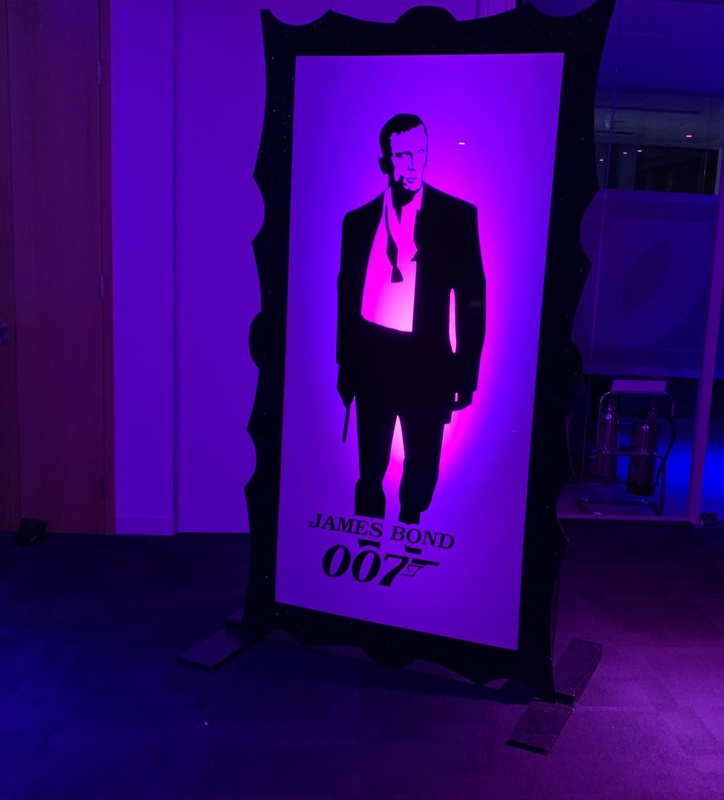 Another giant prop that stands 3.5m long and nearly 3m tall this makes a stunning feature for a Bond event. • Illuminated ‘Welcome to Las Vegas’ sign. Standing at up to 10 feet tall (although can be set lower for vertically challenged rooms) this makes a fabulous welcome to the event and a great place to take some photos to remember this special occasion. • Giant gold glittered dice. With varying levels up to 3m in height they will enhance the casino event. • Choice of 10ft x 10ft Vegas themed backdrops. Set the scene with a Las Vegas landscape. 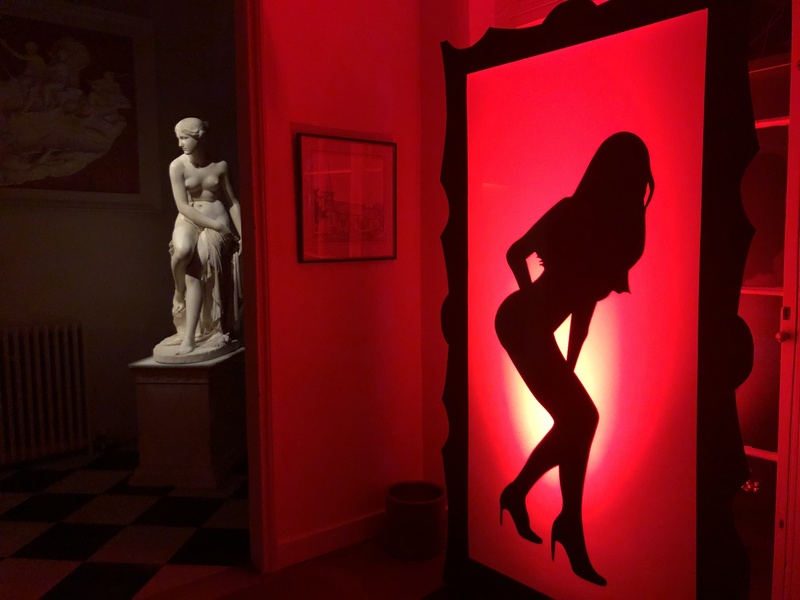 Please ask us about further theming and prop hire, our entertainment options are unique and varied and we can offer various live acts including but not limited to singers, showgirls and magicians to help theme your event.